Striking curb appeal! 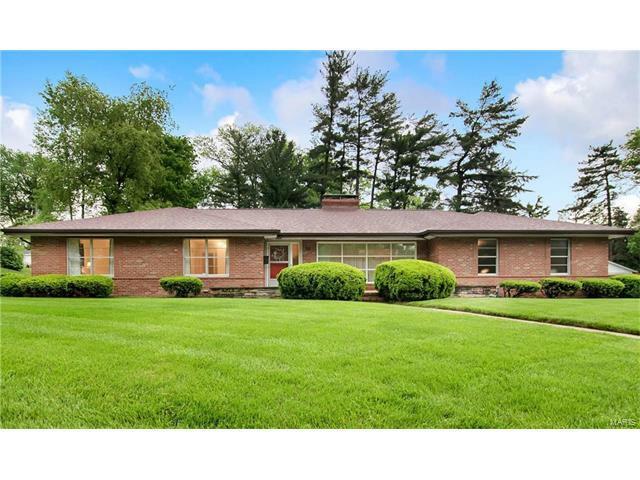 Fabulous full brick ranch on quiet tree-lined street w/beautiful wood floors throughout awaits your visit. Airy & vaulted living room w/built-in shelves & see-thru fireplace opens to formal dining room. Eat-in kitchen w/ peninsula adjoins cozy breakfast nook for casual meals. 3 spacious bedrooms w/large windows perfect for comfort & quiet relaxation. Hallway features 2 large closets. Enjoy impressive window-filled family room w/wet bar overlooking expansive backyard for outdoor activities. Huge partially finished bsmt offers potential exercise or game room & add'l storage space. One closet in hallway has laundry chute to unfinished basement.Well-maintained & cared for home w/ manicured lawn is ready for occupancy. Conveniently located near St. Clair Country Club, short distance to Frank Scott Pkwy, Memorial Hosp & short commute to Scott AFB. Architectural roof new 2016. Service panel update June 2017. Meets Belleville City codes; has passed inspection.